RUSH Diesel & Automotive provides diesel repair services for individual and commercial customers in Bluffdale, Utah. Our trained automotive repair professionals understand the importance of keeping your vehicle in top shape, keeping you safe on the road and protecting your investment. We are known for our exceptional service and unconditional customer satisfaction. Our fair and transparent pricing makes repairs and maintenance affordable on any budget. As a locally owned and operated automotive repair business, we provide a highly personalized experience designed to exceed your expectations. For expert diagnostics, maintenance and repair your diesel-powered vehicle, trust the RUSH Diesel & Automotive team. Our expert technicians use state-of-the-art diagnostics equipment to troubleshoot any problems you’re having, from excess smoke and hard starting to poor performance. We also conduct an inspection of the vehicle to identify any potential problems on the horizon. Although we won’t recommend any service you don’t need, we will recommend scheduling repairs or maintenance that help you avoid unexpected mechanical failure and costly emergency towing and repairs. We blend cutting-edge technology with tried-and-true experience to provide the most comprehensive service available in our industry today. RUSH Diesel & Automotive is your one-stop-shop for all types of diesel repair and maintenance services. 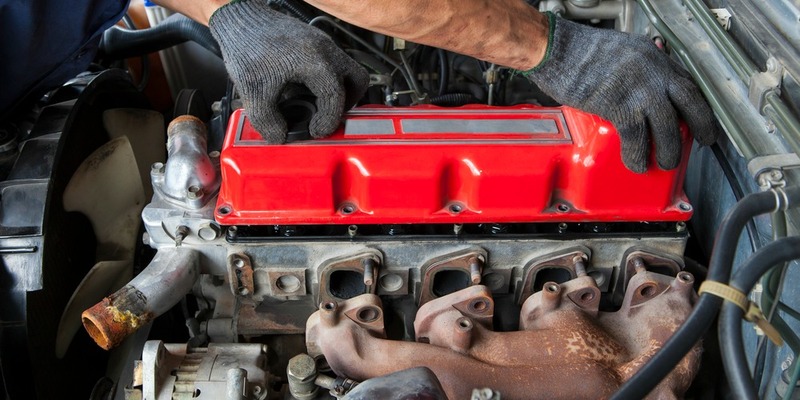 We overhaul and rebuild engines and repair electrical systems, air conditions, braking systems, transmissions and every other component of your vehicle. We also provide expert preventive maintenance, to keep your vehicle running the way it’s supposed to. Whether you’re an individual or a fleet manager, this ensures driver safety on the road and gets you where you’re going, day after day, without fear or worry for your vehicle’s performance. The RUSH team can assist you with all makes and models of diesel-powered vehicles, from classics to late-model cars and trucks. Our value-added services will help you extend the life of your vehicle while ensuring optimal performance. Our goal when you walk through our door is simple: we are committed to service your vehicle quickly and effectively and get you back on the road as soon as possible. We help customers with heavy- and light-duty vehicles, including diesel-powered European cars. We stock high-quality parts and components that meet or exceed factory standards. We don’t just offer diesel repair as an afterthought or secondary service – we are diesel specialists. We leverage the power of advanced technology and put it in the hands of highly-trained, experienced technicians to deliver the consistent quality and service you deserve. We guarantee our work and your unconditional satisfaction. Contact us today to learn more about your services or to schedule an appointment for your vehicle. We know you’ll understand why we are Bluffdale, Utah’s diesel repair experts.